People visiting the various stalls at the Methodist Church 2018 Festival of Praise have been impressed with the items on sale there, apart from the food. One such stall at Furnival Park, Toorak, Suva, is run by the Fiji Corrections Service, selling the products made by inmates. People flocked in numbers yesterday to FCS tent to see and buy the products and were amazed with the skills and talents of the inmates. Taraivini Komai, 54, of Namosi, said she was impressed with the jaba and shirts that were sold. “I didn’t know that it was made by the inmates, but a friend told me. I am a tailor myself and I am really impressed by how well sewn they are,” Ms Komai said. “What Fiji Corrections Service is doing is good because when these inmates go back to their homes they have something to do. Sikeli Bari of Nadi trying a shirt at the correctional centre tent during the Methodist Church Annual conference on August 13,2018. Photo: Simione Haravanua. 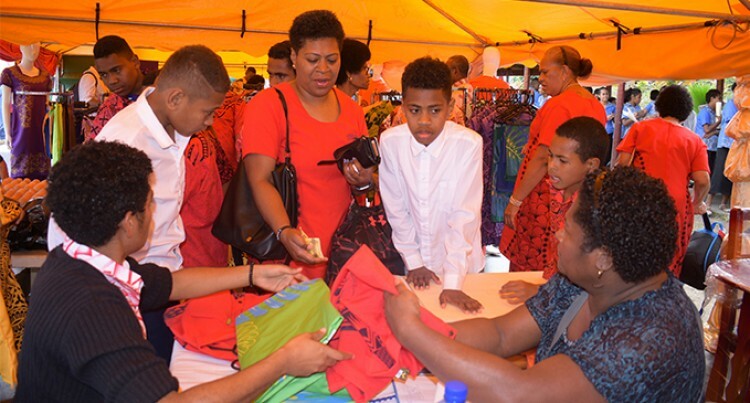 Mother-of-three Lavenia Manavure, 42, of Savusavu said this was the first time she visited the booth and was surprised when told that the jaba and shirts were sewn by inmates. “I didn’t know the inmates were trained in prison,” she said. “I think this is a good move by Fiji Corrections Service. Many people look down on those who have been prison. 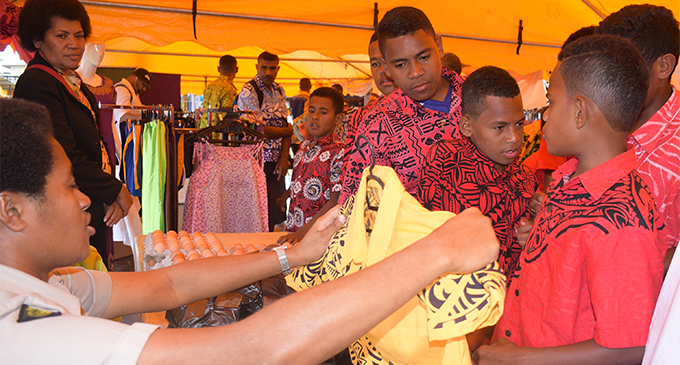 Yellow Ribbon Programme community officer Waisele Soqonakalou said running the stall at the festival was part of their awareness to the public. “The products sold here were made by the inmates themselves. Part of the proceeds from the sales of the items goes to the inmates,” Mr Soqonakalou said. Mr Soqonakalou said making of the products was part of rehabilitation. “Most of the inmates when they come they are unskilled, so what we try to do is teach them skills which will come in handy when they go back to their communities,” he said.